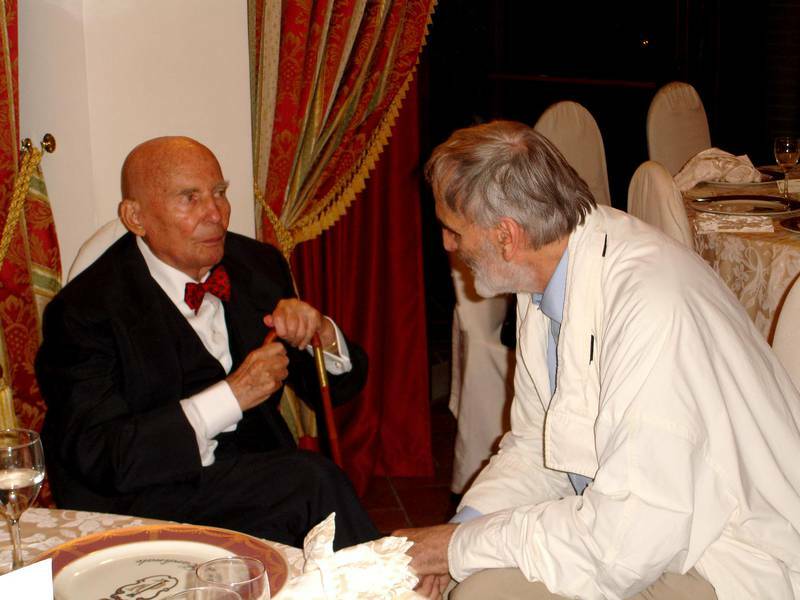 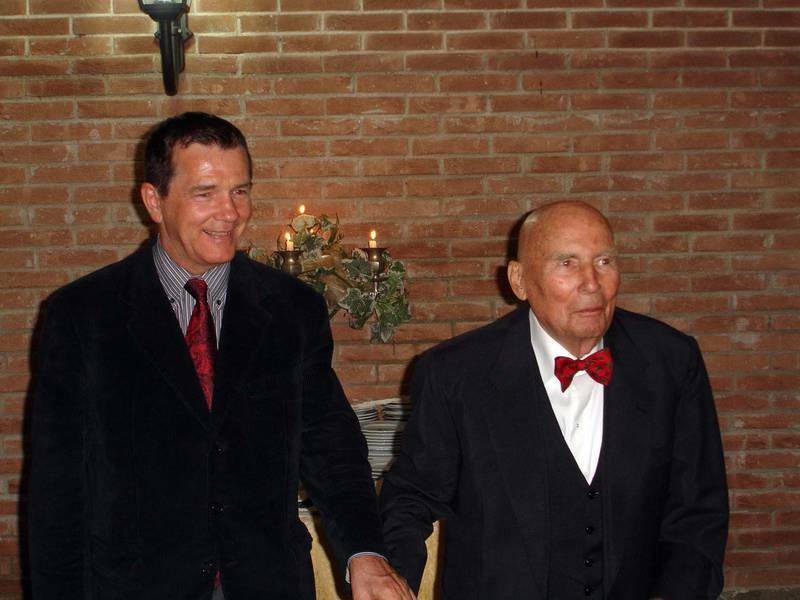 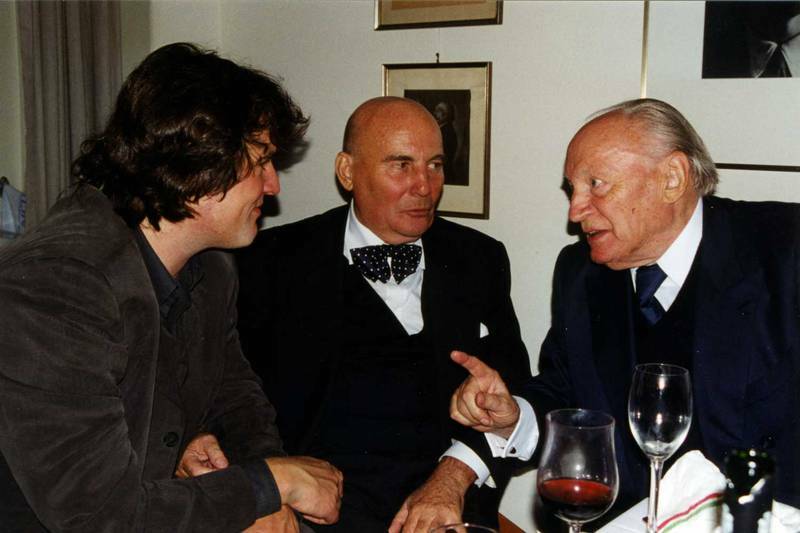 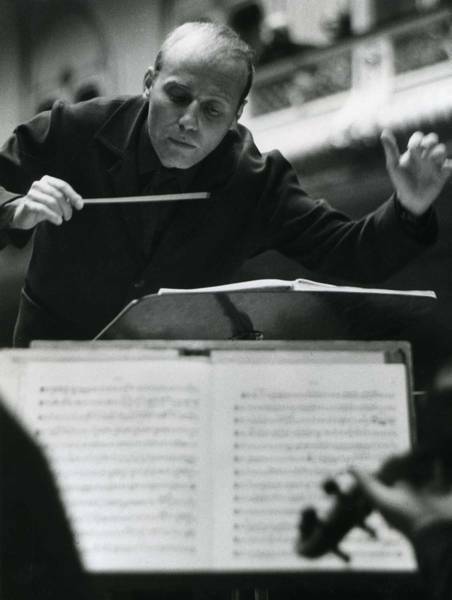 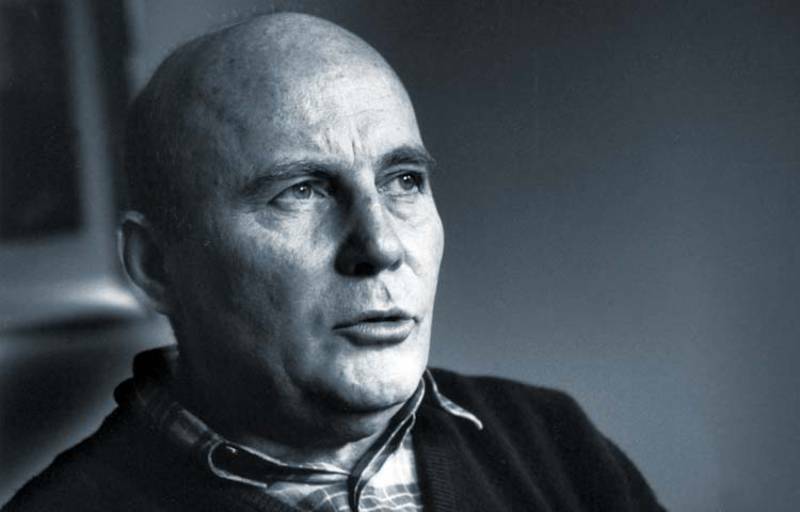 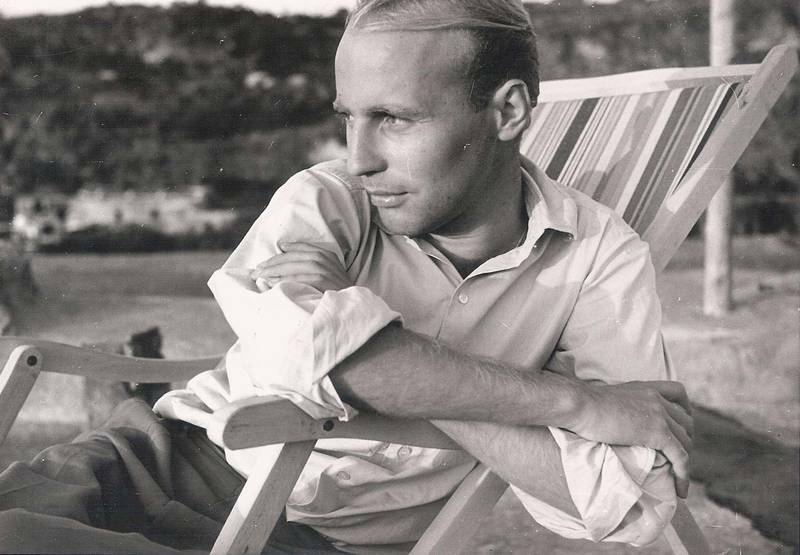 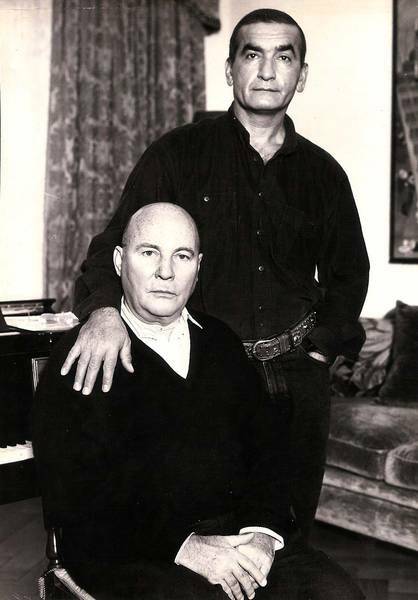 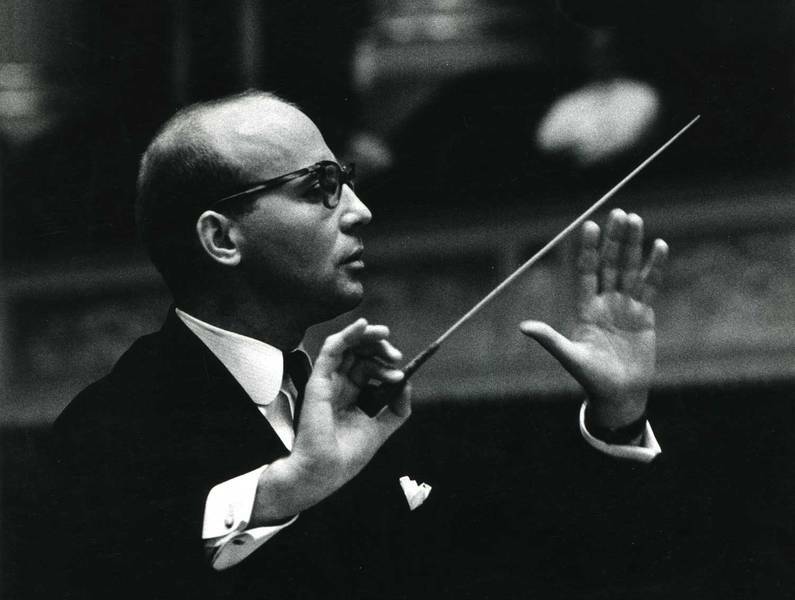 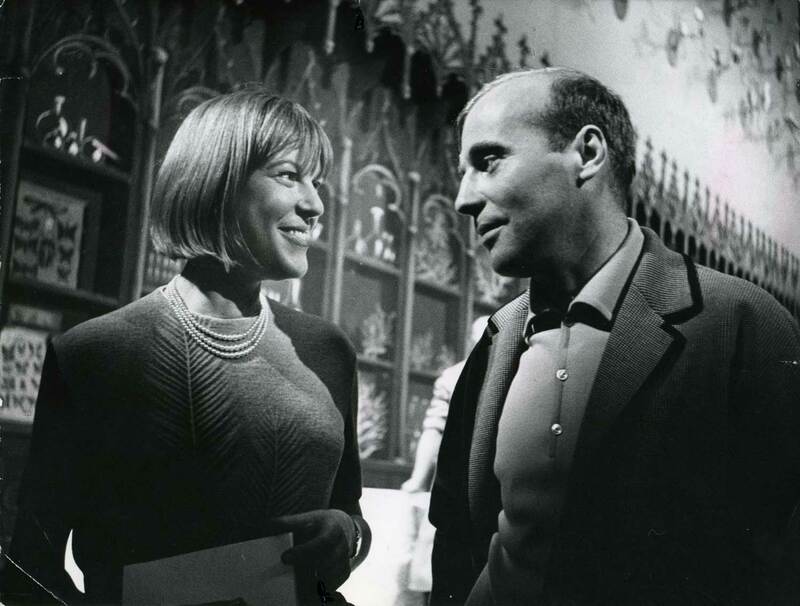 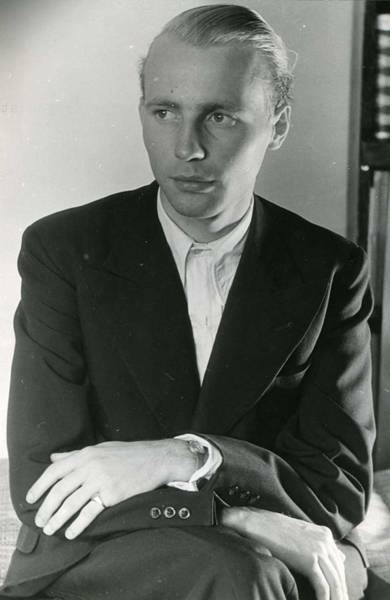 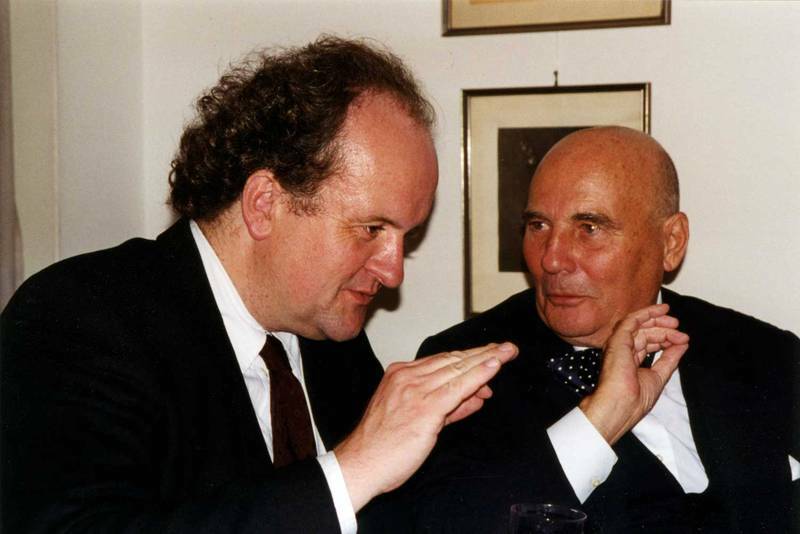 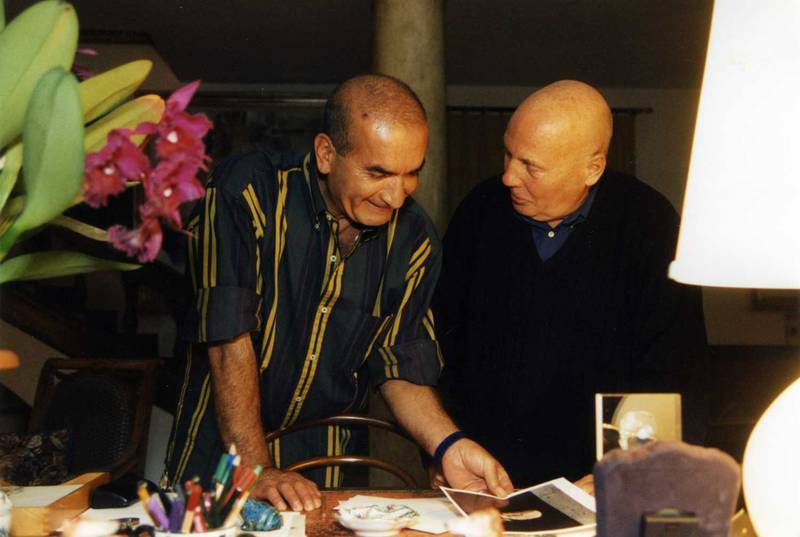 Hans Werner Henze certainly has been one of the most important composers of our time. 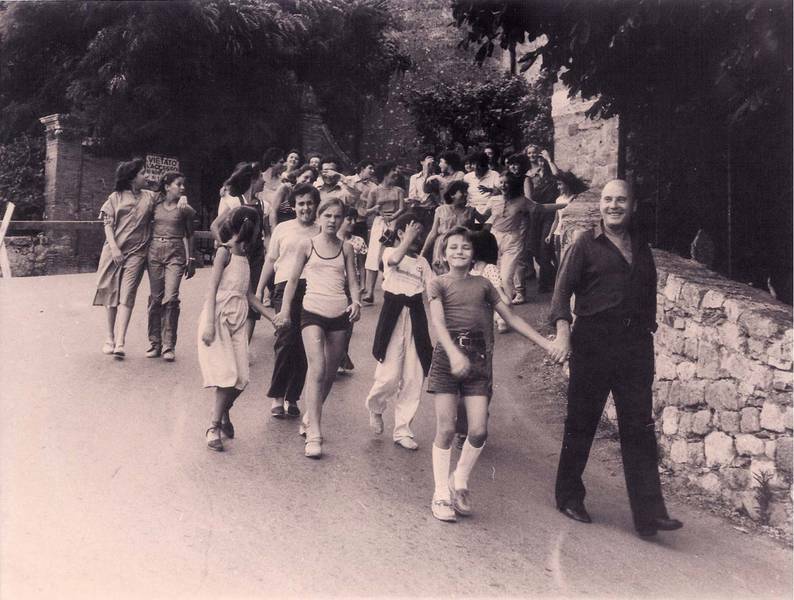 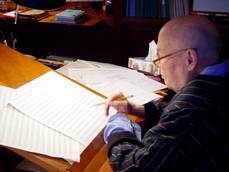 Having lived in Italy for nearly 60 years, he has developed his own distinct musical idiom rather influenced by the Italian sense of life. 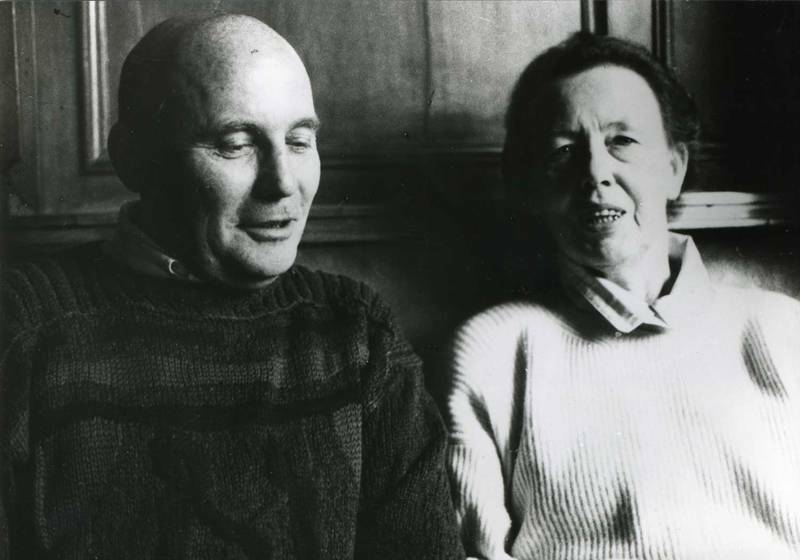 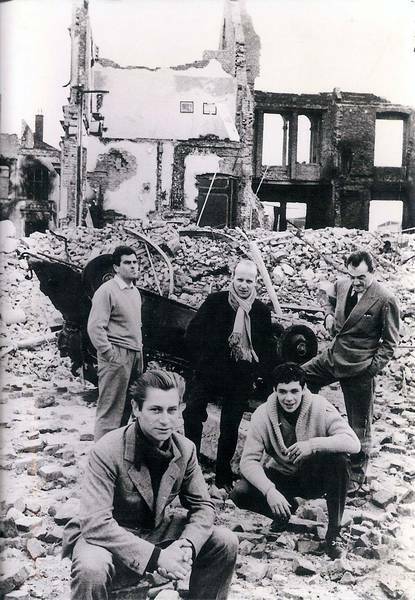 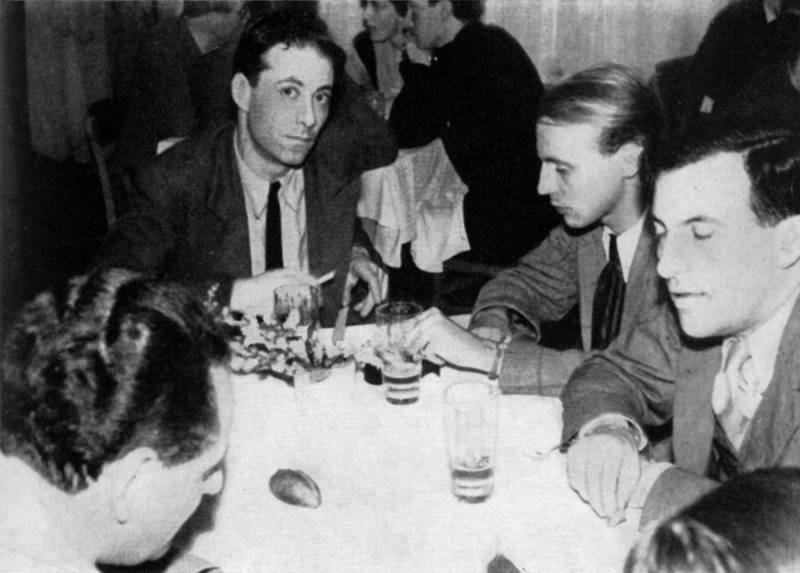 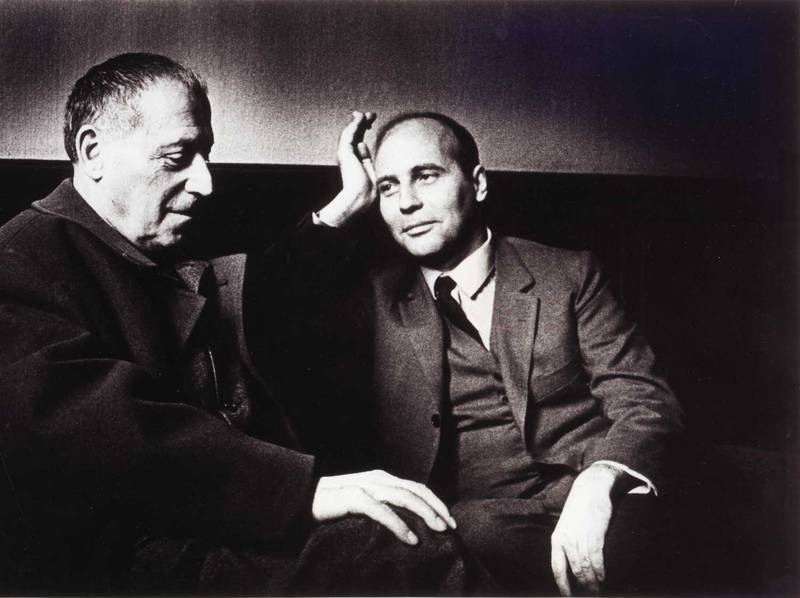 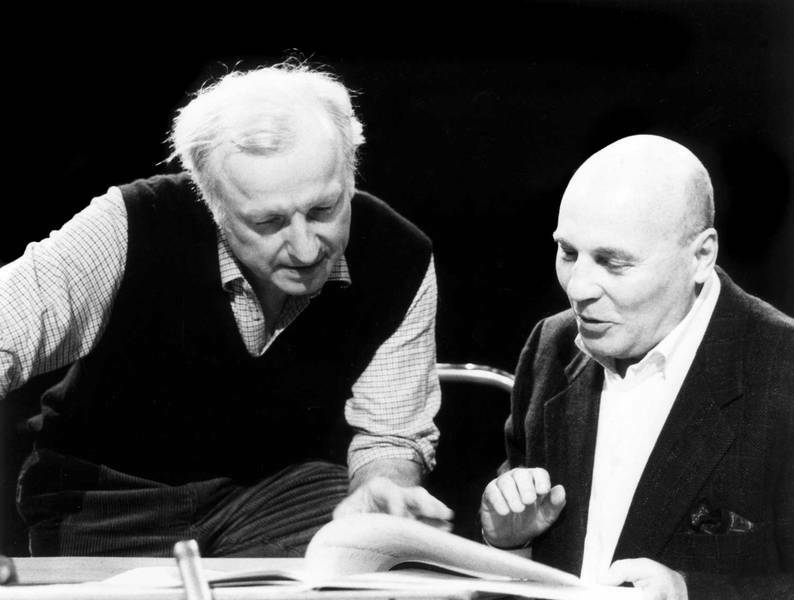 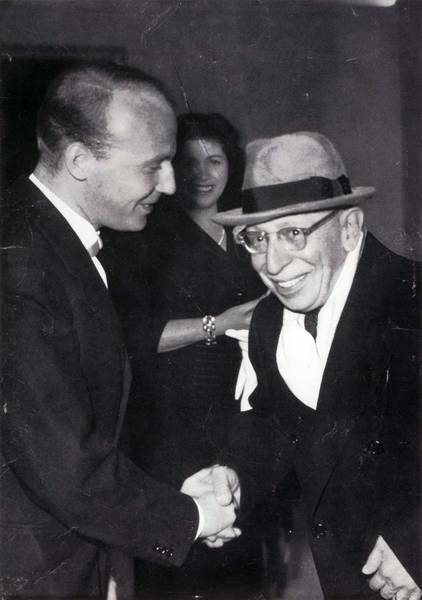 Henze's music "comes from theatre", as he often emphasized, it always used to take a political position, and the major human concerns tend to express themselves in and out of this music in a highly affecting manner. 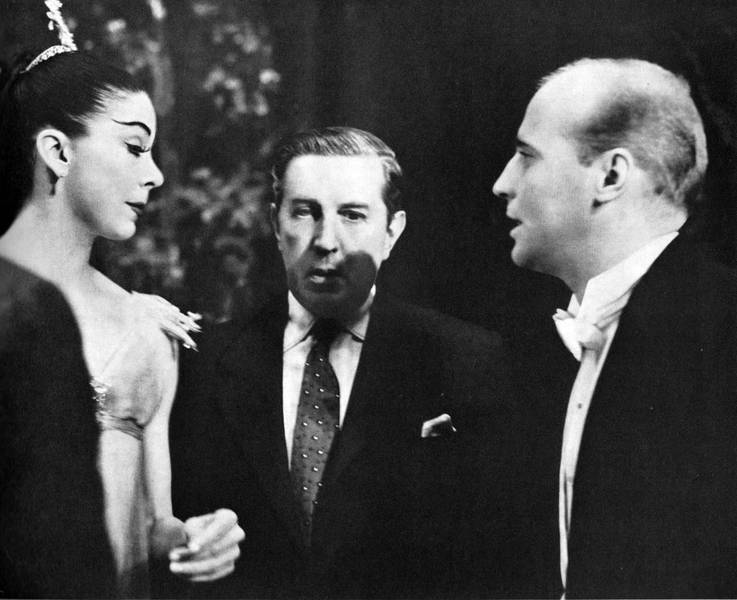 Most of his 15 operas soon found their way into the international theatre repertory. 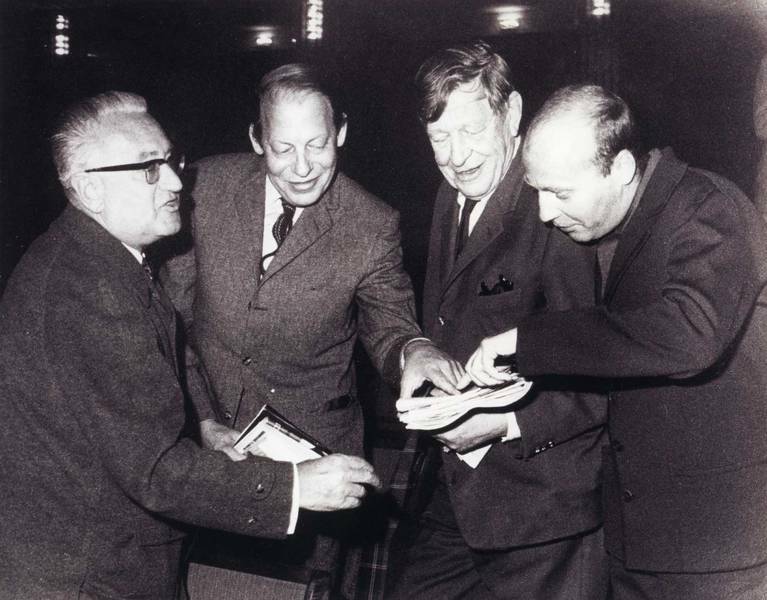 The recording of his 10 symphonies, achieved by the Radio-Sinfonieorchester Berlin under Marek Janowski with WERGO has just been completed and was highly appreciated by the international music world. 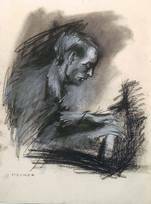 His list of works contains pieces of all musical genres. 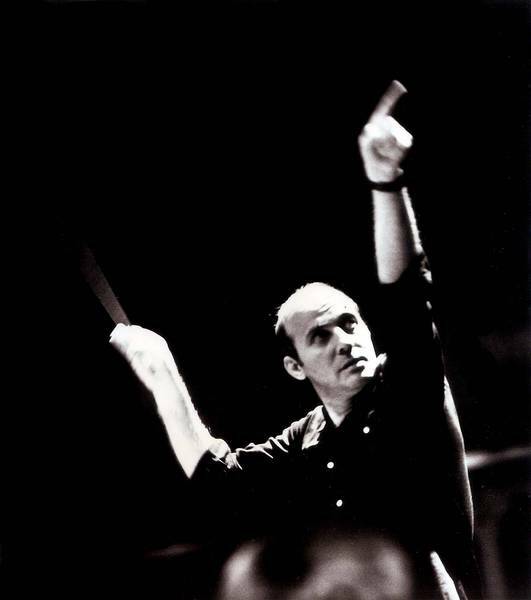 Having established the "Cantiere Internazionale d'Arte Montepulciano" and the "Münchener Biennale - Internationales Festival für Neues Musiktheater" Henze, as educator and promoter of young talents, has created two festivals which mark a solid start of many now important careers and have become essential events in the international music festival calendar. 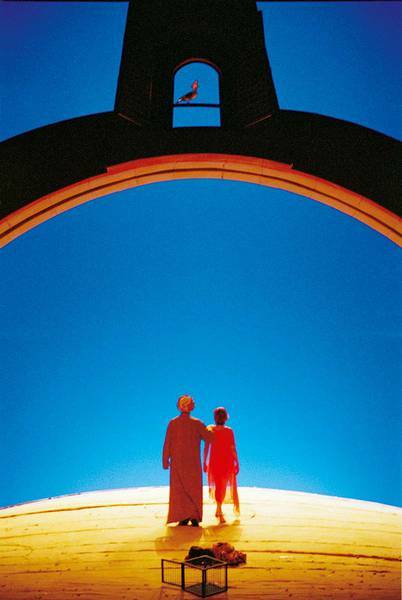 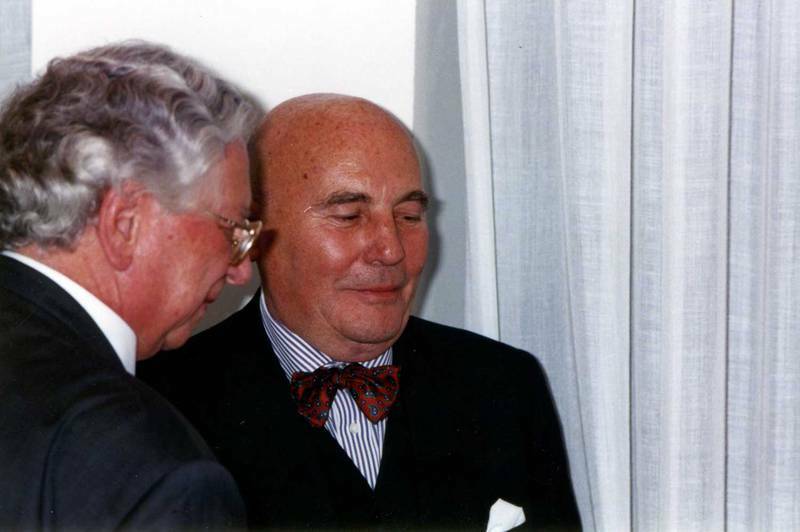 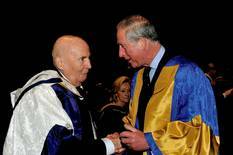 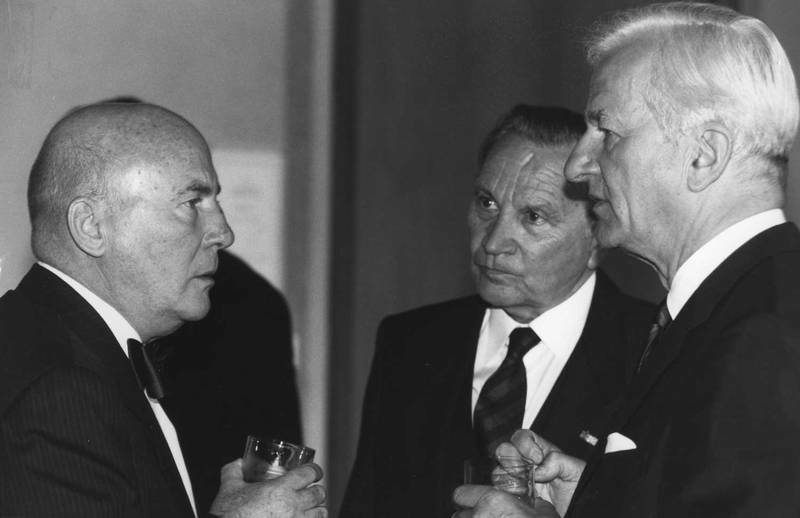 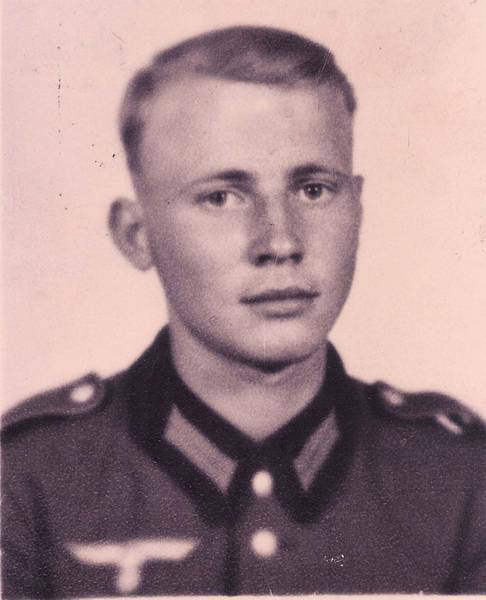 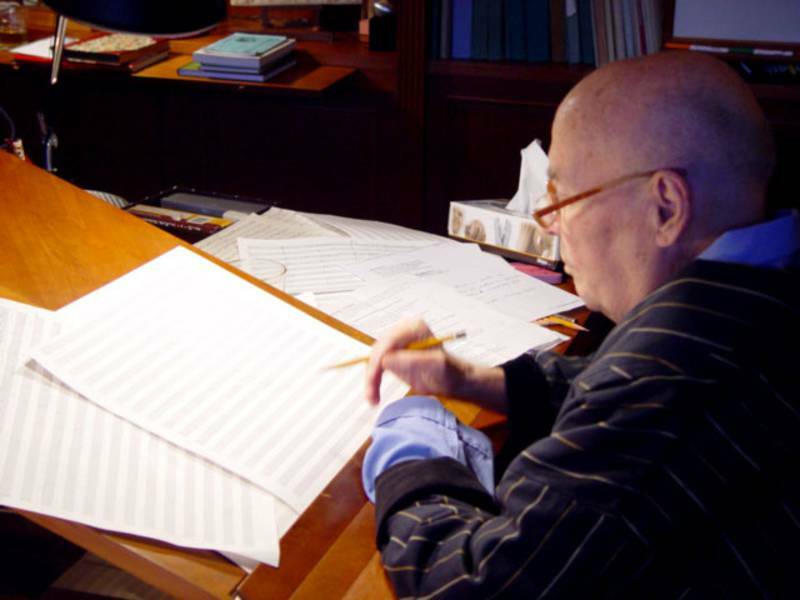 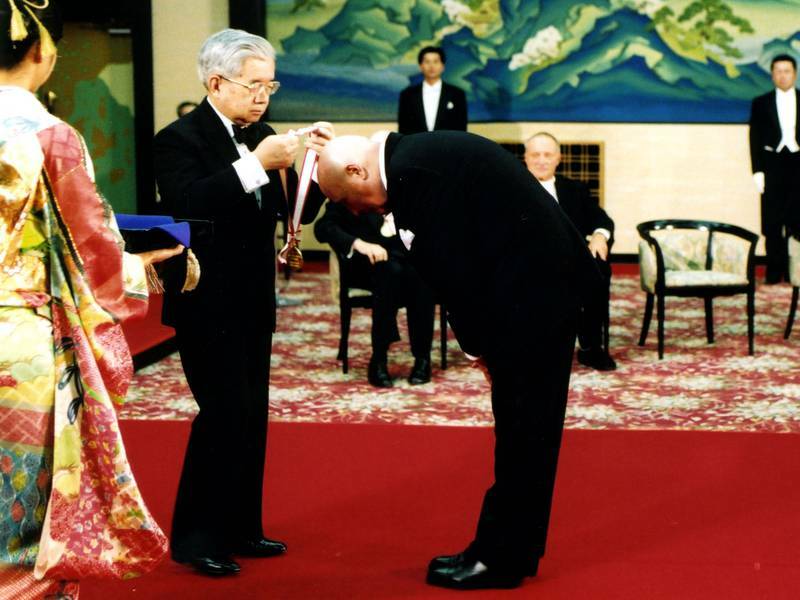 Henze has received numerous distinctions - among them several honorary doctorates, the Japanese emperor's "praemium imperiale", the Grand Cross with Star of the Order of Merit of the Federal Republic of Germany and the appointment as "Chevalier de la Légion d’honneur". He played an active part in the musical life - at last as "Capell-Compositeur" of the Dresden Staatskapelle, until he passed away. 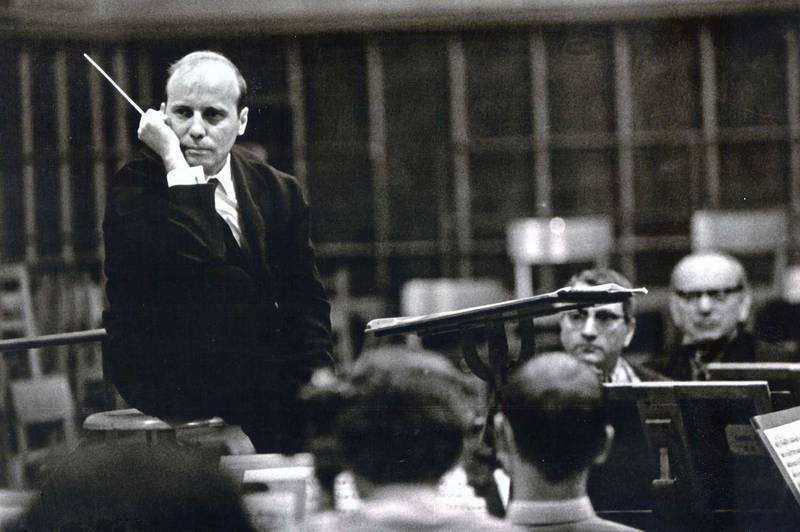 The world premiere of the oratorio „Das Floß der Medusa“ (Che Guevara gewidmet) in Hamburg being live broadcast by 22 European radio stations was cancelled after a police raid in the auditorium against students. 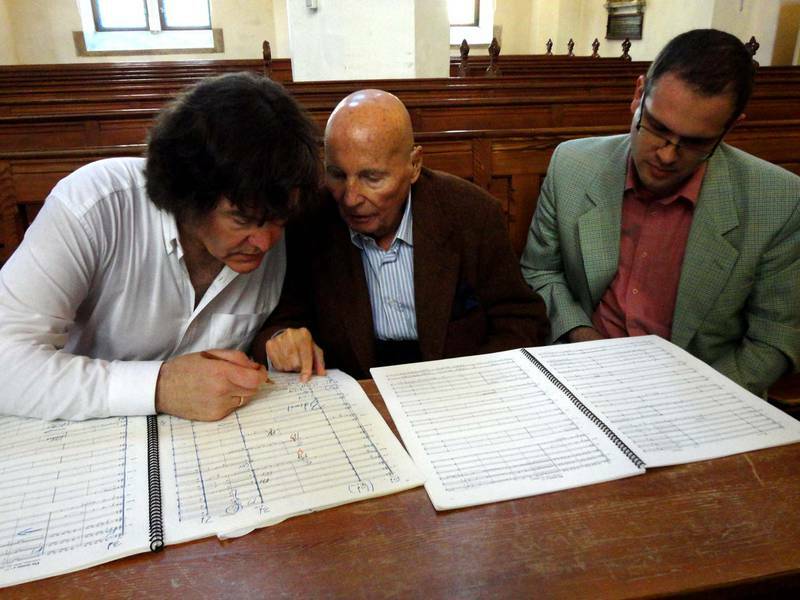 Awards of the city of Positano for the ballets "Ondine" and "Orpheus"
Cannes Classical Award in the category "Best Living Composer"